Michigan neon underglow usage is governed by the state's Code. All relevant laws, rules and regulations pertaining to vehicle lighting including car underglow in Michigan have been provided below. Make sure to examine the regulations carefully and do not use any restricted lights. Usage of neon underglow lighting is governed by Michigan Vehicle Code, Chapter 257: Motor Vehicles, Act 300: Motor Vehicle Service and Repair Act, Section 257.698. Is neon underglow legal in Michigan? Michigan law explicitly prohibits additional vehicle lighting while the vehicle is on public roads. Therefore it’s our conclusion that in Michigan neon underglow is illegal while driving. You may install car underglow as long as the lights are covered and not lit while driving. Furthermore it is forbidden to use any kind of flashing lights. Legally only permitted colors for aftermarket lighting is white or amber in the front and front sides, and red or amber in rear and rear sides of a vehicle. Installing underglow in state of MI is not illegal, but ensure you use it only on private property. Below are all relevant excerpts from Michigan Vehicle Code which restrict certain aftermarket lights to be installed on vehicles. (4) Unless both covered and unlit, a vehicle operated on the highways of this state shall not be equipped with a lamp or a part designed to be a reflector unless expressly required or permitted by this chapter or that meets the standards prescribed in 49 CFR 571.108. A lamp or a part designed to be a reflector, if visible from the front, shall display or reflect a white or amber light; if visible from either side, shall display or reflect an amber or red light; and if visible from the rear, shall display or reflect a red light, except as otherwise provided by law. Michigan’s Traffic Law FAQs (link) also include specific answers about neon underglow. Below are the relevant questions and answers which explain the usage of neon lighting on cars and other vehicles. Answer: The problem with placing neon lighting inside a vehicle is that the vehicle code is very specific about the color of lamps allowed on a vehicle and what color can be seen from what direction. For instance, the only color legally allowed to be displayed to the front of a vehicle is white or amber. The only color allowed to be displayed to the rear is red or amber. To the sides, front – amber or white, rear – amber or red. No other colors are allowed and if any permitted color lamp is visible from any direction that is not allowed then it cannot be equipped that way. If the lighting causes a visual impairment for the driver or is potentially distracting then such lighting is unlawful. Finally, like exterior neon lighting, there is no provision within the Michigan Vehicle Code that allows the use of interior neon lighting. Ultimately it will be a matter for the courts to decide. As per Michigan Vehicle Code Section 257.698, violation of vehicle lighting laws is a civil infraction. (9) A person who operates a vehicle in violation of subsection (1), (2), (3), or (4) is responsible for a civil infraction. Our information about car neon underglow laws in Michigan was last updated in 2018 and checked in 2019. In case any info we provided is not up to date or correct be sure to contact us so we can revise it. Thank you! Check our data with your local law enforcement or other relevant agencies! Michigan underglow laws in certain cities or counties may be different from state legislation. While we do our very best to provide the most accurate information about LED and neon street glow usage we will not be held liable for any potentially incorrect or misinterpreted info. 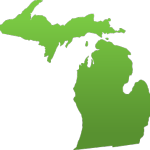 Have questions about traffic or neon glow laws in Michigan?